The presentation is very nice. The box isn't too big for what you're getting, and it opens like a book... A book with bottles in it, hmm... It really reminds me of a chocolate box, though. Because you have your guide to which perfume is which on the "lid", and your assorted fragrances on the other. Plus it is a nice chocolately brown! You can click the small pictures to see them bigger. 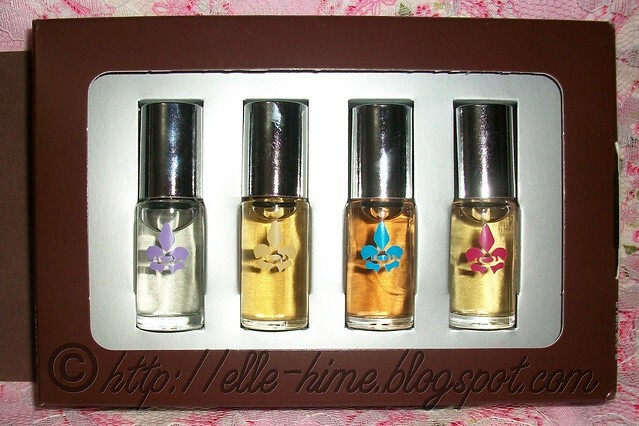 The inside flap lets you know what the notes are for each perfume. Every side of the box reminds you that these are good-for-you products and the bottom adds that they are cruelty free. Yay! Each 5ml bottle is color-coded, but do also have their names printed on the bottom. I highly doubt you would ever wonder which is which, though. These smell exactly like what their name says they are. 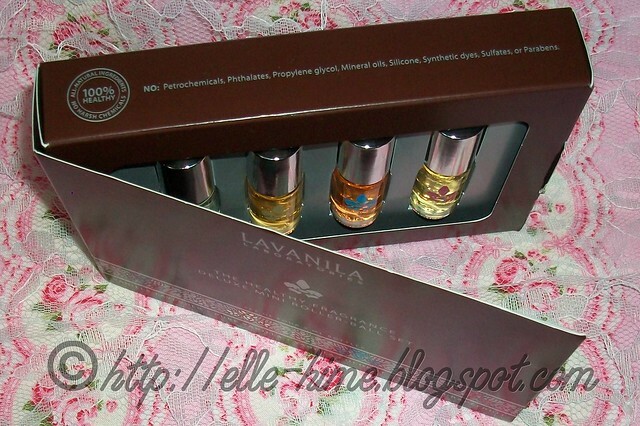 I picked these up because I was interested in the brand and wanted to sample their different scents. 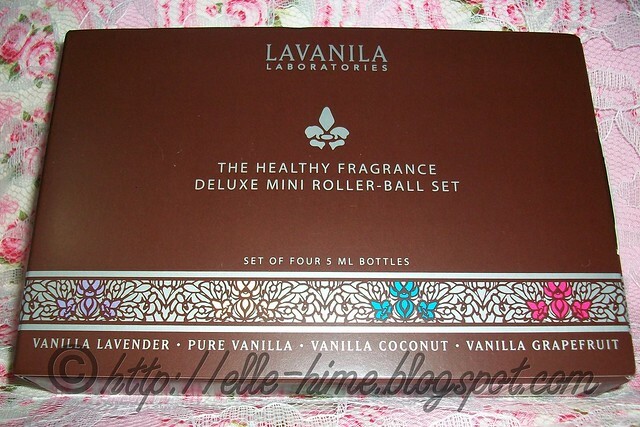 I like vanilla smells so it was a safe buy, and I'd say anyone who enjoys vanilla (aka: most people) would like this set. It would make a good gift but it's also great to have for yourself for travel. None of the roller-balls have leaked in my set. First impressions of these scents are that they are very real. They smell exactly like what their natural ingredients are. Nothing is overpowering, but the fragrances don't instantly disappear, either. I have been letting as many different people as I can smell these and everyone seems to be able to pick out two "most favorites" from the four, and none are hated. 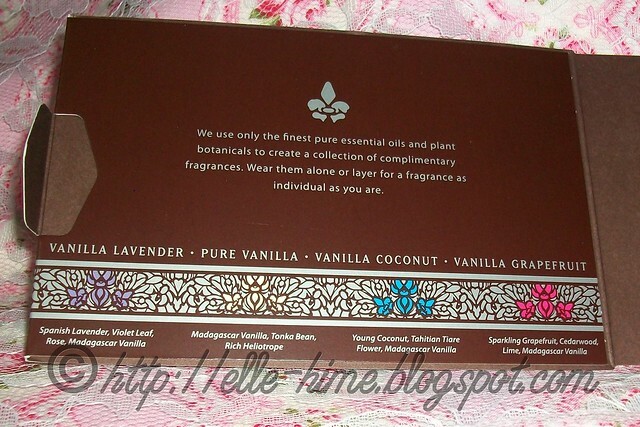 Pure Vanilla is a huge hit; it makes your mouth water. I'll be doing more in-depth reviews of each scent to say what the lasting power and wearability of each single scent is over the next few days. I just had to get this preview up because I am excited! I'm a foody-scent lover and always love trying yummy new things... I'll keep you posted! I LOVE vanilla. Those sound amazing, I might have to try these!